No one likes January around here. Let me rephrase that…no surfer in their right mind SHOULD like January. Water temps and air temps are cold. Wetsuits, booties and gloves are mandatory uniform to surf anywhere north of Florida. Your flip flops and boardshorts have probably been buried in the back of your closet, under your bed, or (if you’re like me) in the deepest and darkest depths of your car’s back seat. Maybe I’m wrong. Maybe you’re some kind of deranged, ice-crazy, possessed monster that thrives in the bitter cold. Alas, there is a cure!!! The winter surf trip…a rite of passage for surfers of any skill set. The chance to get away from home and enjoy some warm water and awesome waves while exploring a strange and wonderful new place. 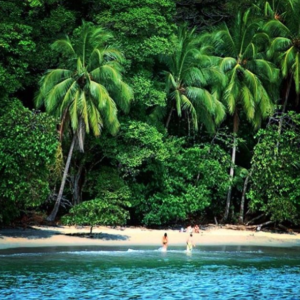 When the temp starts to drop so does our airfare to COSTA RICA! Join us this January for our Adult Surf & Yoga retreat! For over a decade we have packed our bags and traveled to Costa Rica for the surf and yoga retreat of a lifetime! This unique, learn-to-surf or just go surfing adventure takes place in beautiful Playa Grande Costa Rica and provides our clients with a worry-free surf/yoga retreat facilitated by our team of certified instructors. And the best part: the tropical climate of Costa Rica provides year-round water temps around 80 degrees, so no wetsuit is required!